Wondering How Tax Reform Will Affect You or Your Business? The federal estate tax will remain in place, but with the tax reform, the exemption will nearly double from the current rates of $5.49 million per individual and nearly $11 million per married couple. This change will substantially decrease the number of families who are subject to federal estate tax and also provide an opportunity for individuals to transfer wealth to their loved ones, up to an amount of $22.4 million per married couple, without any tax. With this change, there is a significant opportunity for small family businesses to pass on their business interest to the next generation tax free. For the past 75 years, tax law has allowed the spouse paying alimony to deduct it, while requiring the spouse who received the money to pay taxes on it. The new tax reform law is reversing that, giving the tax break to the ex-spouse who receives alimony. This provision will apply to couples who sign divorce or separation paperwork after December 31, 2018. The new law keeps seven individual tax rates: 10%, 12%, 22%, 24%, 32%, 35% and 37%. The new tax rates will take effect on January 1, 2018 and will expire at the end of 2025, unless Congress acts to extend them before that time. The corporate tax rate takes a huge cut. It is permanently reduced from the current rate of 35% to 21%. The current standard deduction amounts are $6,500 for individuals, $9,550 for heads of households and $13,000 for married couples. The new law nearly doubles the amounts to $13,000, $18,000 and $24,000 respectively. This provision is another that expires at the end of 2025. The child tax credit doubles from $1,000 to $2,000 per child and is refundable up to $1,400. Effective in 2019, the new bill eliminates the penalty for those who go without minimum healthcare coverage. The penalty remains in effect for 2018. Funds from a 529 savings plan (up to $10,000 per student) can now be used for public, private and religious elementary and secondary schools. Under the new bill, interest on mortgages up to $750,000 is deductible. The current cap is $1,000,000. The medical expense deduction remains in place, but with a lower floor of expenses totaling 7.5% of adjusted gross income instead of the current 10%. The AMT exemptions will increase to $70,300 for individuals and $109,400 for married taxpayers. It will be repealed for corporations. Please contact Chuck Hadad or Lisa Goddy at The Lynch Law Group at (724) 776-8000 if you have questions on how the new tax law will affect you or if you would like to meet to discuss your situation. 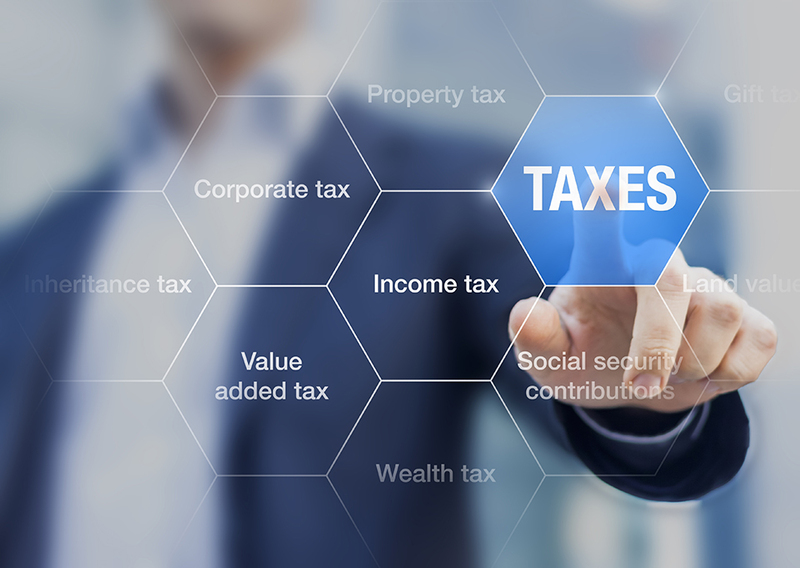 This entry was posted in Legal Watch, Corporate, Business Succession Planning, Estates and Trusts, Family Law and tagged Tax, Taxes, Tax reform. Bookmark the permalink.